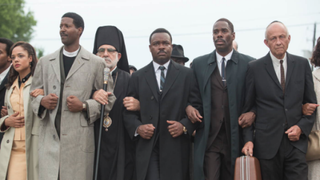 If there is a high school student who hasn't seen Selma, Paramount Home Media Distribution is hoping to change that. On Friday the movie company announced that every high school—public and private—in the U.S. will receive a free copy of the Martin Luther King Jr. biopic, which is available in digital HD and is set to be released on Blu-ray and DVD May 5, according to AL.com. “To think that this triumphant story of dignity and justice will be available to every high school in this country is a realization of many dreams and many hopes,” Selma director Ava DuVernay said in a press release viewed by the news site, which added that teachers can download a companion guide to aid in talks about the film. “We hope to reach all 18 million high school students with the film’s powerful and inspiring story,” Megan Colligan, president of worldwide distribution and marketing for Paramount Pictures, said in the release. “With many of these students preparing to vote for the first time in next year’s elections, it is especially fitting that they witness the bravery and fortitude of those who fought to establish the Voting Rights Act of 1965,” Colligan said.